Directions: 1) Note the inequality displayed in the upper right-hand corner. 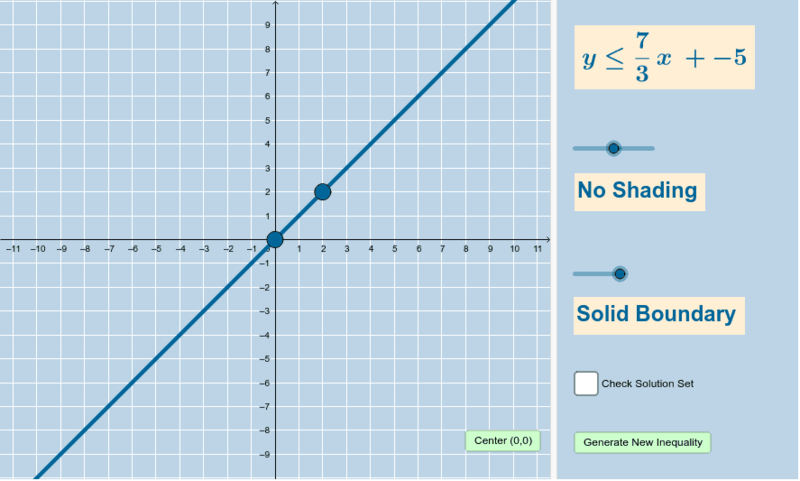 2) Move the 2 BLUE POINTS and adjust the sliders accordingly to construct the graph of the given inequality. 3) Select the "Check Solution Set" checkbox to see if you're correct. If you are. you'll see a big "CORRECT!!!" sign appear. If not, the applet will also indicate this to you. 4) Repeat steps (1) - (3) as many times as you need in order to master this concept!